I made them for Valentine's Day. I didn't have a chance to blog them until now. I made a mistake on them that turned into a wonderful thing. 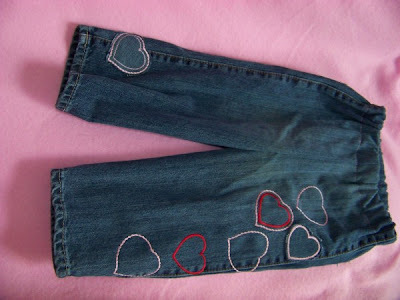 My embroidery machine made a crazy jump out of place and messed up an area of the jeans. My family needed me so I was not at the machine when this happened (doesn't it always happen that way). The mistake had way too many threads to pick out so I made a applique to put over it. 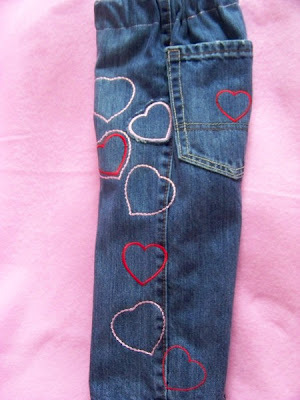 I decided to make it a frayed applique to make it show up better and add more texture. 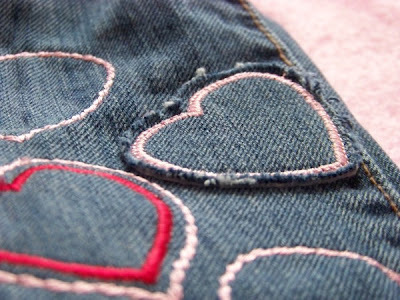 I think the frayed heart looks wonderful. I liked it so much I added one on the bottom of the other leg. 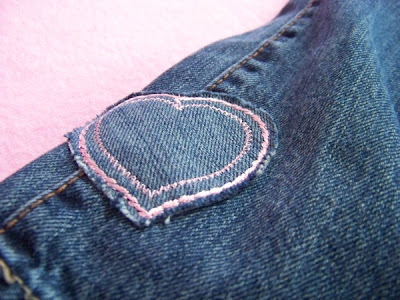 Very large heart pockets are on the back. 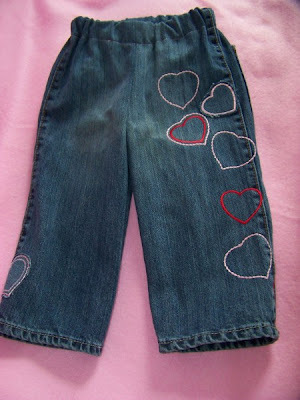 Zehira was OK with this because she has hearts she can see all over the front. 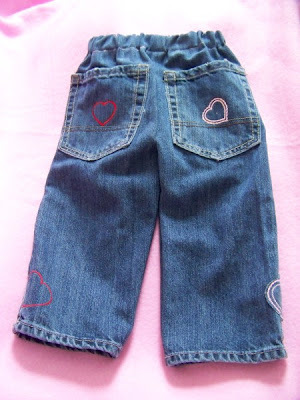 I had a lot of fun making this pair of jeans. They look very cute on her. I keep forgetting to take pictures of her wearing them.